Thinking About Becoming a Client? Watch the Fiducia YouTube channel for our Economic and Market updates. 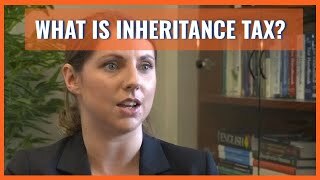 Fiducia Wealth Management | What is inheritance tax? on 24.03.17	Read It’s been another busy month in Dedham with further qualifications gained and a new member joining the Fiducia team. As an Independent Financial Adviser (IFA) Fiducia Wealth Management provides first class financial and investment advice from our offices in Dedham, near Colchester on the Essex Suffolk boarder and in Chelmsford, Essex. Fiducia Wealth Management Ltd is authorised and regulated by the Financial Conduct Authority. This site is for information only, and does not constitute financial advice. © Fiducia Wealth Management, Dedham Hall Business Centre, Brook Street, Dedham, Colchester, Essex CO7 6AD. Also find us at Saxon House, 27 Duke Street, Chelmsford CM1 1HT. No unauthorised reproduction is permitted without prior consent.